Piff: Greetings. It is I, the Lord. It seems that more kindling– I mean, fan mail, has arrived. Fan mail: Dear Piff, weren't you the current Piff the last time? Fan mail: I saw a huge posse riding up the Stately Tower right now. Piff: … You there, hold my crown! I need to visit the other side of that conveniently placed hiding place for a moment. New Piff: Hi! New Piff here–gackkk! Piff: I’m back. Where were we? Fan mail: I can't find my tippy mug!!! Piff: Have you tried looking from your gareus? Fan mail: That's where it was!!! Fan mail: I haven't seen my neighbours in a while. Maybe the spider ate them? What do I do? Piff: Go and ask her. If you get eaten, please report to your local DLEP Officer and file a murder mystery. Narration: Fight pigeon unemployment – send your fan mail today! Lately there have been many owl people looking in through the windows. I try greeting them, but they just run away hooting hysterically. Would you at least sit down for a moment and read these with me? 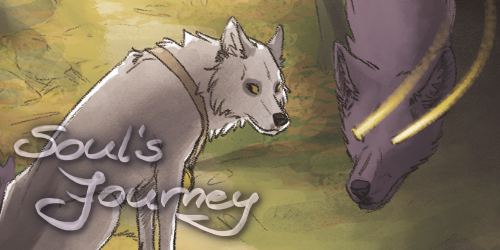 Soul’s Journey by Sophie Pf – Trapped in a wolf's body a prince has to find a way to stop a war. 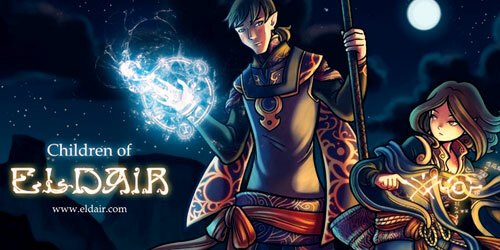 Children of Eldair by Jemma Young – A sorcerer saves a girl from flesh-eating demons. After trying to use magic to find her friends, he’s trapped in a vision of the past – one that will help him save the world and the girl he loves.